I flew again yesterday and was able to hold on to a thermal that took me 1,400 over launch. Dean is back and flying again and climbed up with me. 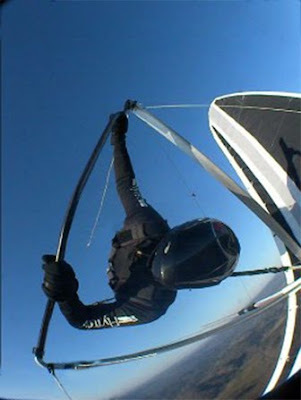 After getting a little cold I decided to trade my hard earned altitude for a bit of high speed fun. Buzzing by launch and then zig zagging my way down the mountain just over the trees was exhilarating. Down near the LZ I decided to do a run across the puddle. Jesse and Pablo were down there inviting me with cameras. What an awesome flight! The air was so smooth which made for nice, predictable maneuvering. I love days like this. Check out the short video of the landing. Tuesday was quite warm - 61 degrees -and I got excited about flying. Lucas and I went up to the Bandit launch setting up in a moderate SW cross but there were decent cycles. I launched first and found some lift just south of the ramp. The wind chopped it up but it was workable. I was excited as this was my first thermal in a long while; couple months maybe. I got over the ridge after a bit then Lucas launched joining me. After working 15-20 minutes we had gained about 700 ft over launch and I went out in the valley. I guess the excitement of working that thermal overtook me and I found myself flying towards Trenton with the intention of going for a little XC flight. (from 700 over :)) After hitting a thin, useless piece of lift over the high school I picked the field across the highway to land in. After landing, 3 or 4 police cars started whizzing around getting ready to intercept me as I walked toward the fence. The excitement built as more people stopped to ask if I was OK and if I had crashed. 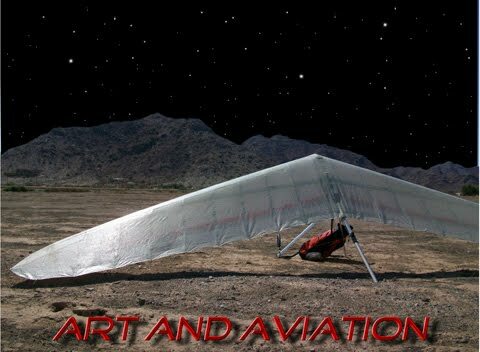 I assured them that I was fine as I began breaking down my glider.The landowner was really friendly and told me the cattle and 1 bull in the field might be curious about me; soon they were sniffing my glider and harness looking for my snack bar inside. 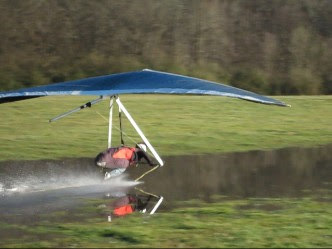 After a while Bob and Scott showed up to get my glider and me out of the mud and back home. It's funny how sometimes a 3 mile XC flight can be one of those that will stick in your head forever. 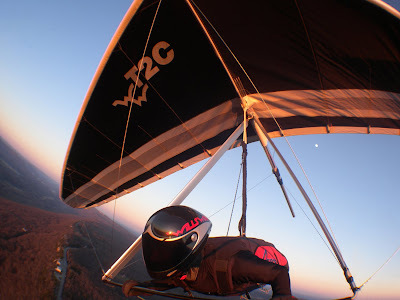 Hang gliding life is incredible! Happy New Year everyone. John C, Scott, James(staples) and I decided to brave the below freezing temps for a good old New Years Day flight. Scott, James and I took off towards the point in Chattanooga. Solid ridge lift made getting there and back a breeze. It was a lot of fun and I can't think if any better way to bring in a new decade than by a cold, scenic cross-county flight with my buds. Check out the flight in the video below. The LZ got a little switchy on us while landing, but everyone pulled it off with style.